I have seen lots of new phygital beauty retail concepts recently, which naturally means new consumer trends to think about. As the latest in-store tech (fun or functional?) usually points to next generation thinking for different consumer groups, I thought I’d spend some time musing what new concepts are a good fit for key industry consumer typologies. Plus the London locations make for a great retail trends safari, with plenty of screens/AR/VR to interact and play around with. WAH Nails: The new WAH Nails flagship destination in London’s Soho has community and discovery at its heart. This is a Generation D hangout store designed to create moments of discovery with experimentation and learning as chief reasons to linger for longer. Set over two floors the salon and retail space features an upstairs dedicated to technology-enabled experiences (colour matching, VR) and a testing zone for trying out new looks, products and styling advice on tap. The basement level is where customers who have booked treatments can relax and experience the full WAH Nails offer with a host of Gen D suitable screen entertainment plus six manicure desks, three pedicure chairs and a cocktail bar. Why it’s special: Gen D consumers look to their favourite brands to provide entertaining retail destinations (not just stores). By incorporating the latest digital innovations into the location, plus an overriding theme of discovery and community, buying products becomes secondary to spending time with the brand and becoming a brand advocate. 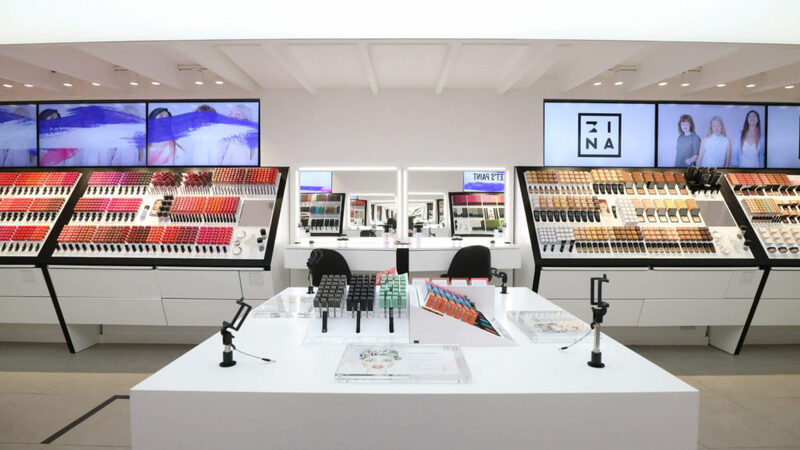 3INA: Pronounced Mina, the British cosmetics brand is taking a fast-trends approach to beauty with new lines introduced every two to three weeks, according to co-founder Pablo Rivera. The flagship store in Covent Garden opened in spring 2016 and has a colour burst feel with a visual identity taken straight out of the Instagram playbook. With a philosophy that ‘attitude is your best asset’ the trend-led stores are intended to foster a sense of community and the vibrant, visual identity of the brand is driven by its casting of Gen D tastemakers and creatives including artists, bloggers, Instagram influencers and film makers. Why it’s special: 3INA talks the visual language culture of today’s Gen D consumers and by fostering its own creative community, both in-store and via its girl-gang empowering campaign ethos, the brand immediately resonates with its target customer. Estée Edit, London: This stand-alone store from Estée Lauder looks and feels just like a physical manifestation of the social media fuelled sub-brand that the beauty conglomerate launched a year ago, and is fronted by uber-influencer Kendal Jenner. The 700 sq ft store on London’s Carnaby Street sits alongside similar beauty concept stores from Urban Decay or MAC, and is firmly targeted at its Millennial audience. The location serves to showcase the younger, online brand Estée Edit as well as best sellers from the beauty brand’s other ranges. There is a heavy focus on technology throughout the store design – predominantly selfie mirrors which allow guests to take photos of themselves (plus props, naturally) post-makeover and upload images to their social media accounts or take away prints delivered on demand. 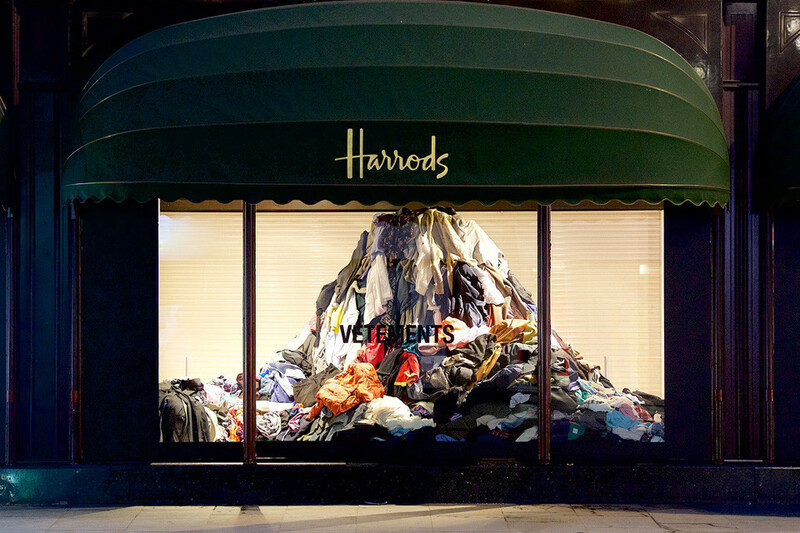 The screens/ mirrors also display user-generated content, sitting alongside its own marketing. Why it’s special: By focusing on its latest influencer/social media brand, Estée Lauder delivers a clever physical strategy with its Estée Edit flagship store. Here the tactility of make-up sessions and community retail combine to create an offline meets online brand experience, while driving Millennial traffic to the dedicated brand website and championing its user-generated content fan base. 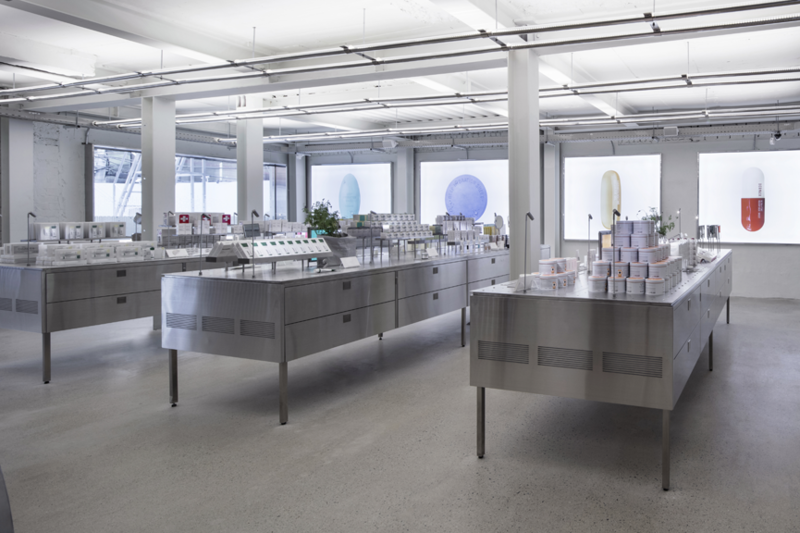 Deciem | The Abnormal Beauty Company: Toronto-based parent company Deciem has opened its first UK location, in Old Spitalfields Market, for all its in-house produced, no-nonsense branding, skincare ranges. 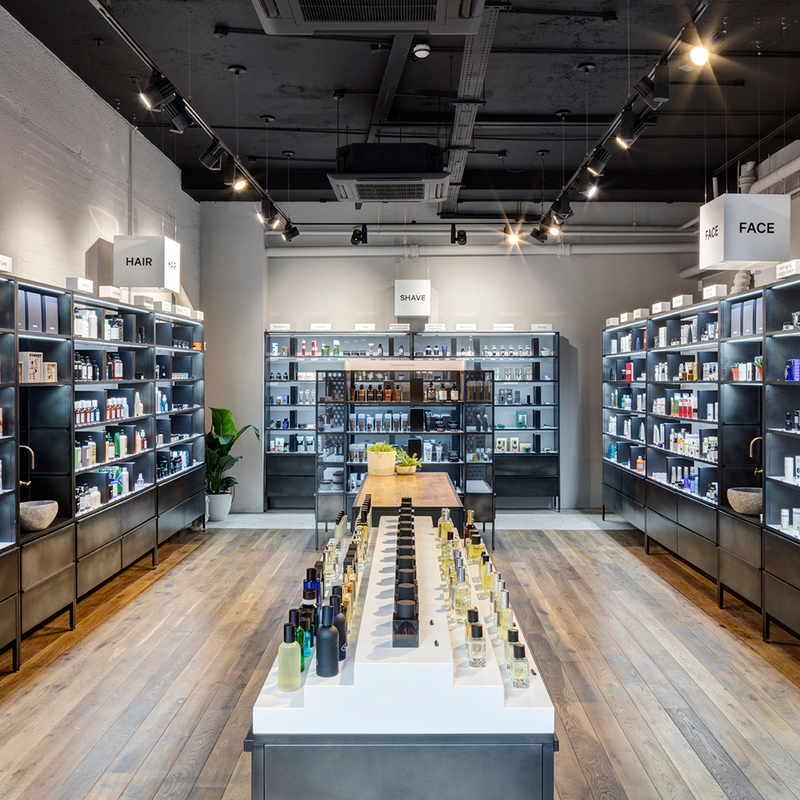 This new London home is set to become a hub for exploration of the Deciem brands, where customers can try out and shop products from NIOD, The Ordinary, Hylamide, FOUNTAIN, The Chemistry Brand, HIF, Stemm, AB CREW and White RX. The newest range is called The Ordinary, and it’s a simple ‘does what it says on the tin’ formulations range that features transformative ingredients (eg organic cold-pressed rosehip seed oil and advanced retinoid 2%) that are usually found in luxury ranges. Efficacy around ingredients is central to the brand’s ethos and has a high-concentration, low-price formula that aims to dispel confusion toward overly complicated product naming conventions. Similarly, Deciem’s NIOD range does not hold back listing chemical ingredients such as hyaluronic acid or peptides, and carries branding that has a science lab feel. Key products are a Copper Amino Isolate Serum 1%, a Multi-Molecular Hyaluronic Complex and a Superoxide Dismutase Saccharide Mist. The ranges are created by development teams who specialise in material chemistry and biochemistry, with the brand’s website explaining: ‘we are an umbrella of brands focused on advanced functional beauty.’ The store was launched so that customers could shop across the online product portfolio, but with live in-person skin and colour matching workshops. The Spitalifields store is an unassuming location with natural wood, black metal and glass windows, clinical white bathroom tiled walls and large bold lettering inviting customers to test out its laboratory-themed, chemical skincare ranges, that also happen to carry affordable price tags. A second London location is due to open this summer (July) in Covent Garden. Why its special: Millennials care about efficacy and honestly labelled products, especially since they have become increasingly focused on discovering a brands’ sustainability standpoint online. Deciem’s skincare ranges promote functionality and transparency in skincare with a no-nonsense approach to brand building through clear and simple, scientific packaging and communications. Sephora Flash, Paris: The LVMH-owned beauty retailer Sephora opened its first smaller store concept, Flash in late 2015 as a connected retail format, designed to marry the offline and online shopping experience via mobile. 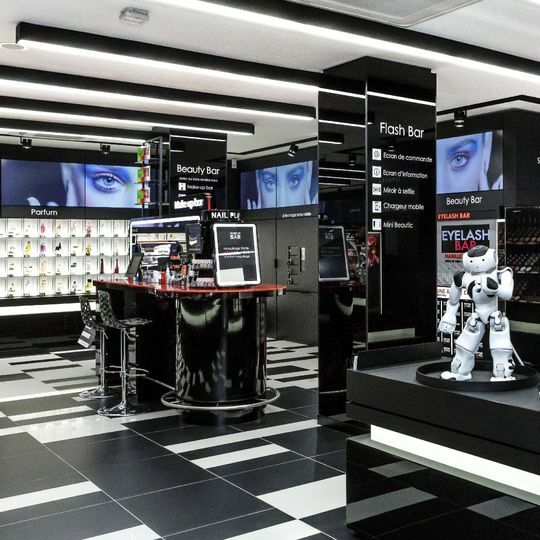 The 100 sq m store in Paris, features a range of frictionless retail technology, from digital discovery tables and virtual shopping baskets to a selfie mirror that enables customers to interact with Sephora’s army of online content ambassadors. 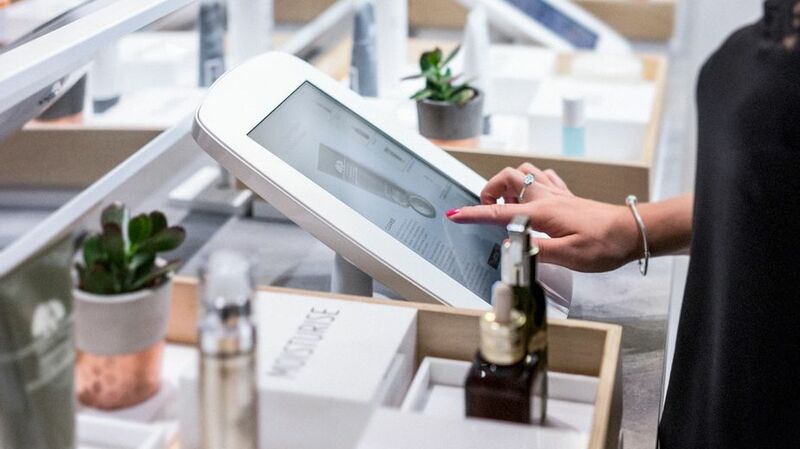 This streamlined retail experience is focused on a core range of cosmetics products that Sephora knows its customers consider as staples or replenshiment items, while touchscreens give instant access to a digital catalogue of 14,000 items which can be collected from the store or delivered at home. Why it’s special: Millennials are digital natives and are looking for physical retail experiences that offer streamlined and frictionless shopping, just like they have online, but with the added benefit of tactility. Charlotte Tilbury’s Magic Mirror, London: Over the last three years, celebrity make-up artist Charlotte Tilbury’s eponymous range has quickly gained cult-like status among its legion of social media fans. 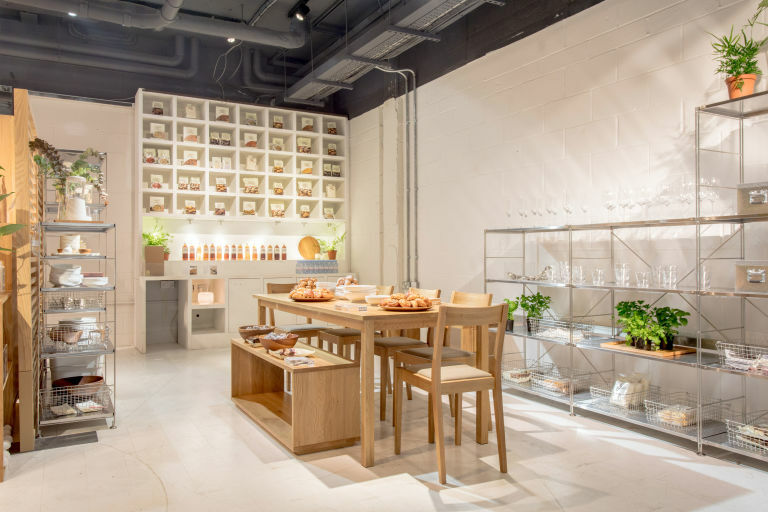 After opening stand-alone stores in Covent Garden and more recently, Westfield London, Tilbury’s retail brand wattage is shining brightly for its mix of experiential and accessible glamour. 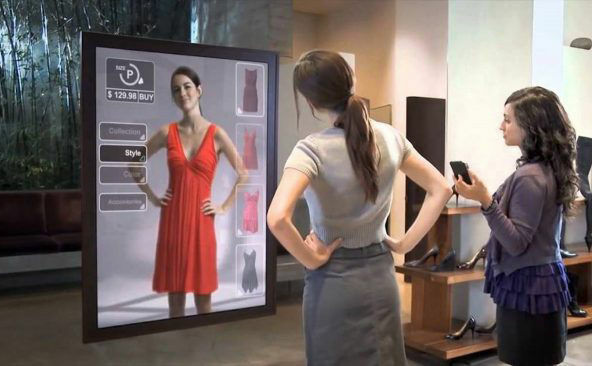 Now the retail experience at these locations has a fun new digital element in the shape of a magic mirror, created by London creative technology agency, Holiton. 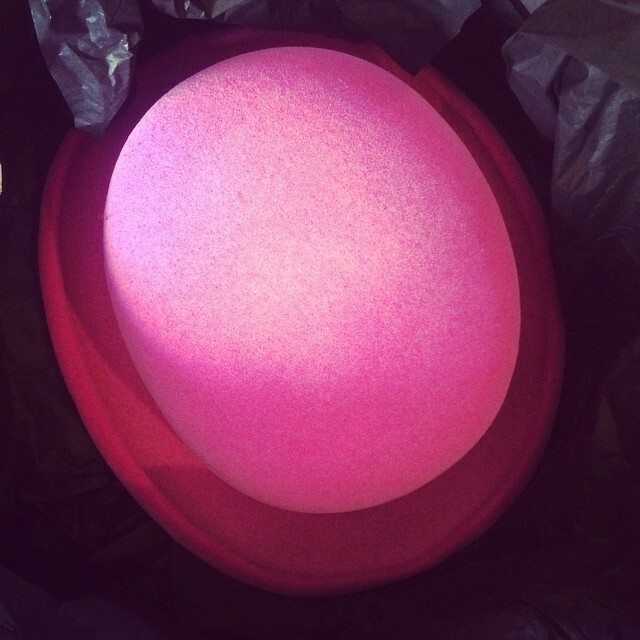 Customers can pop in to the store, sit atop a velvet stool and browse 10 key Charlotte Tilbury looks simply by utilising the AR screen technology that prompts users to choose between looks including the Sophisticate, Bombshell or Dolce Vita. ‘We [needed] to clearly understand how make-up is applied and only then could we start to create this digitally and make the virtual look as realistic as possible… Our creatives spent many months creating and perfecting the 10 looks including color, shape, skin tone and face tracking,’ Jonathan Chippindale, CEO of Holition told Fashion & Mash website. What’s clever about the magic mirror is the interactive technology’s subtle ability to upsell Tilbury’s range of products – either single purchases across foundation, blusher, eyeshadow, eyeliner, mascara, lipstick and even contouring techniques, but they can also instantly be transformed into night and day versions by the click of a button on screen. 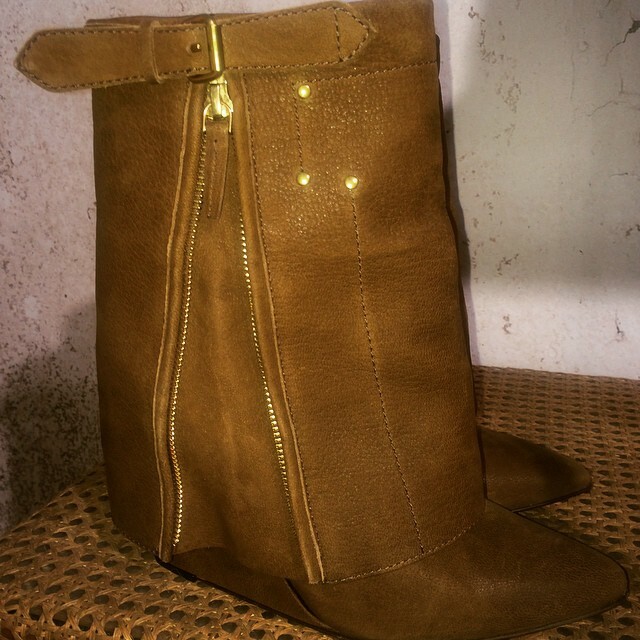 Once users have chosen their favourite looks (and spent time comparing all 10 looks side by side if necessary), and entered their personal email for regular brand updates, they can email the looks to themselves or share via social media. Why it’s special: Encouraging Millennials to spend time in stores (rather than shop online), is increasingly crucial for physical retailers. 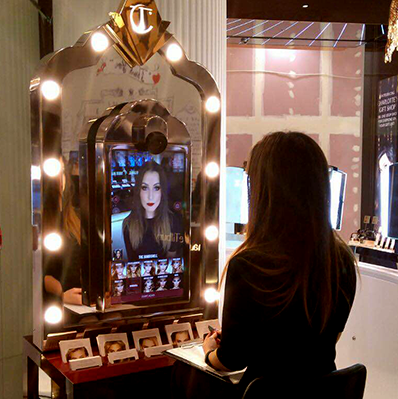 Holtion’s magic mirror for Charlotte Tilbury both engages customers and encourages them to spend quality time with a wide range of products. Plus there’s the opportunity for staff to upsell based on personalisation – and this is becoming a key component in the physical vs digital retail battleground. Peach & Lily at Barneys, New York: As the leading K-Beauty e-tailer/curator/distributor in the US, owner Alicia Yoon has virtually single-handedly commandeered a Korean beauty wave into the US retail landscape. The Seoul-born Korean beauty expert, Alicia Yoon has curated collaborations for her online Peach & Lily store with Macy’s, Target, CVS and most recently Barney’s New York with a dedicated Mask Bar. 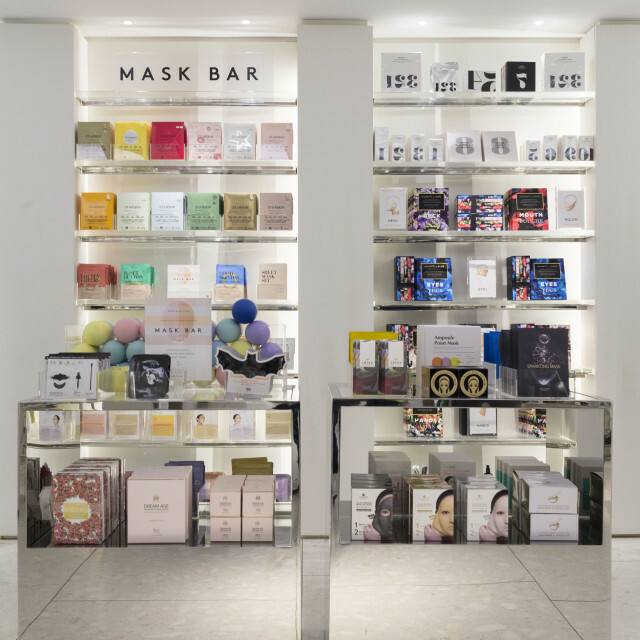 The Mask Bar launch works well to elevate this masstige beauty trend into a more luxury and personalised retail environment that is also mirrored via the store’s e-commerce channel Barney’s New York Window. Similarly Glow Recipe is another e-retailer and distributor that specializes in luxury Korean beauty products. 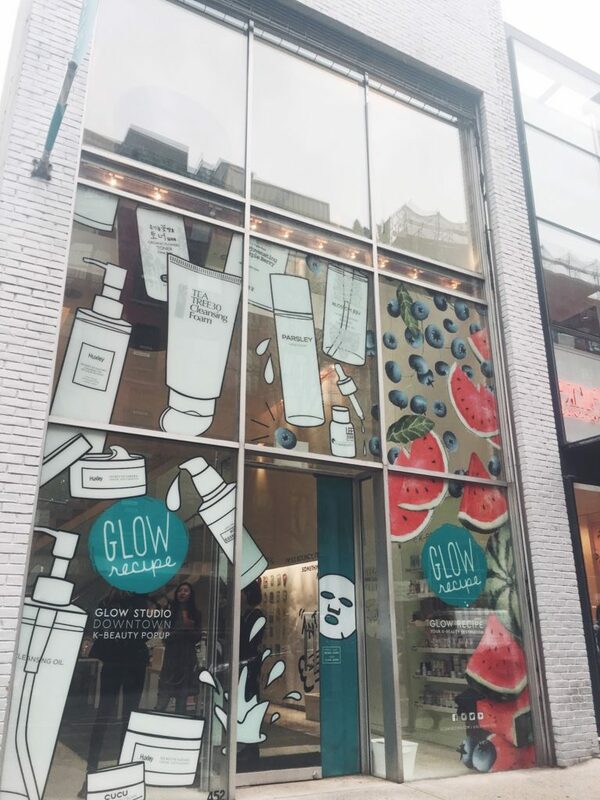 After working with Sephora in the US for the last couple of years to build up its K-Beauty trend walls and expanding merchandise selection, Glow Recipe is now experimenting with its own physical stores in New York. 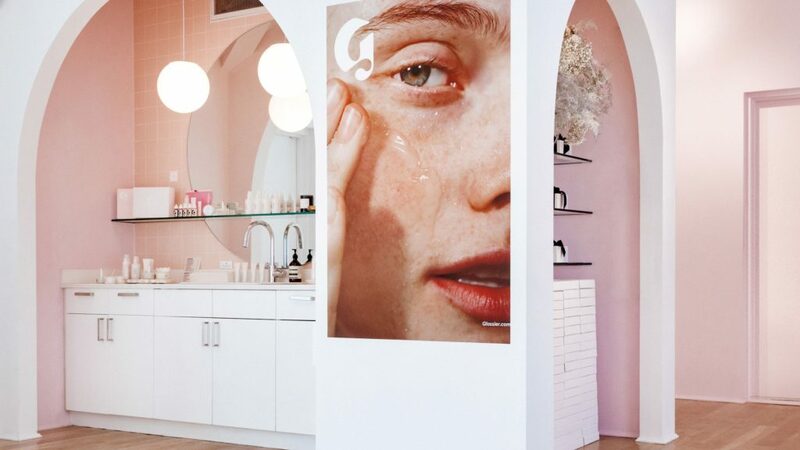 First was the Glow Studio pop-up in SoHo in March, where bloggers such as Sharmtoast got their ‘glow on’, and could stock up on all their K-Beauty brand obsessions plus treatments and workshops courtesy of the Glow Studio team. Then launching this week (May 11), Glow Recipe has collaborated with Saks Fifth Avenue for an uptown Glow Studio at the luxury department store’s new Wellery beauty destination. Why it’s special: The K-Beauty boom shows no sign of fading as Millennials eagerly await the newest imported cult Korean beauty products, via influencer retail distributors such as Alicia Yoon and Glow Recipe and their online fan communities. Fabled by Marie Claire & Ocado, London: Content-commerce is the premise behind magazine brand Marie Claire’s beauty and wellness website, Fabled and its physical manifestation has launched via a collaboration with UK online grocery retailer Ocado. The new London store carries stock that mirrors the content on the site and touchscreens display key products such as editor’s choice or seasonal colour tutorials. The store has a heavy focus on technology to enable play and discovery, designed to allow customers to learn about and experiment with a range of products recommended by Fabled’s team of experts. Everything is shoppable via the digital screens built into the display units and customers’ selections are stored in a virtual shopping basket until they are ready to leave, when there is one final payment. Using Ocado’s delivery capabilities, the online grocery brand offers one-hour delivery slots seven days a week, catering precision delivery options to consumers’ fast-paced lives. Why it’s special: The Fabled collaboration between Marie Claire and Ocado talks to time-poor and advice-driven Gen Xers who welcome service-plus-value propositions such as this editorialised e-commerce meets physical store experience, with frictionless on-demand delivery available from a like-minded retail partner. Dr Jart+, Seoul: South Korean skincare brand Dr Jart+ has combined futuristic store design with functional technology at its new Filter Space flagship store in Seoul. 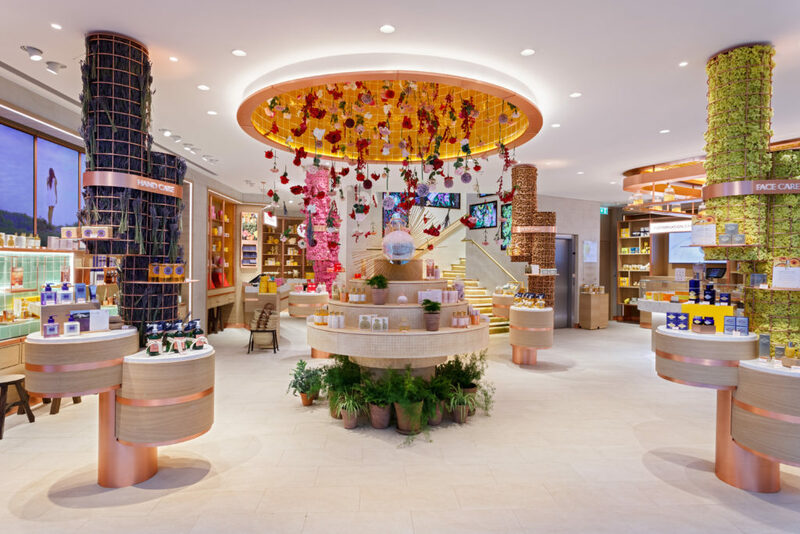 The three-storey store aims to offer its customers a refuge from one of the world’s most polluted cities while immersing them in its purification treatment beauty philosophy. Taking the brand’s three essential beauty elements: water, air and light, each floor is focused on a specific element with a filtered water bar on the ground floor, air purifiers on the second floor and natural light treatments rooms housed on the third floor. At the store’s entrance visitors walk through an air shower booth, preventing contaminants from coming in, while this is also where they begin their Dr Jart+ experience via the brand’s Live Recipe service, which diagnoses skin concerns and suggests potential treatments. Why it’s special: The Dr Jart+ concept promotes Korea’s extreme wellness trend showcased in a purified air retail environment. Plus customers can focus on the unique experience plus personalised data-driven treatments. Beast, London: A male grooming store that aims to mirror the online shopping experience, is the premise behind Beast, a new physical retailer that wants to change the way men buy beauty products. The store is merchandised by product sector, so shelves are signposted as: Body, Hair, Shave, Face and Fragrance. It’s a premium offer with a diverse range of brands from around the world – Vitaman in Australia to Verso in Sweden. One of the store’s key successes is the variety on offer: there are 80 brands in total with newcomers and long-standing classic and cult items alongside one another. 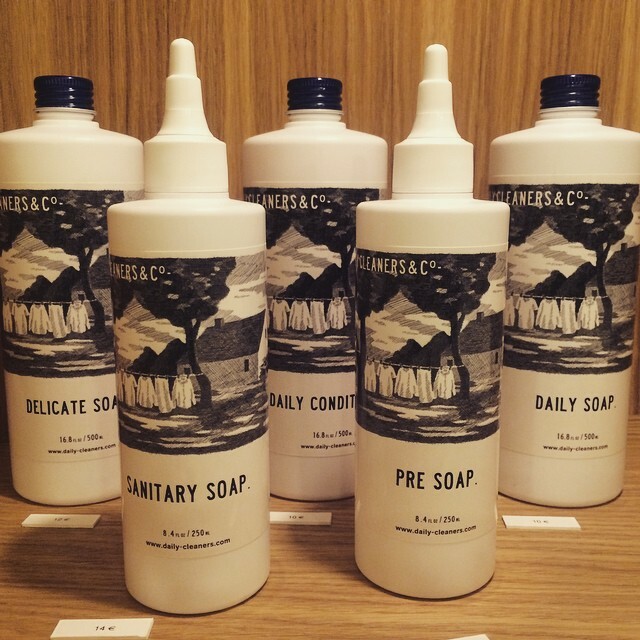 The simple approach to selling grooming products on physical shelves in the same way as its website’s virtual shelves, means this type of physical store experiment signifies how more retail brands should be creating harmonious future store experiences that build on consumers’ omni-channel shopping expectations. Why it’s special: Beast talks to Gen X men who are increasing their shopping habits (and budgets) when it comes to premium grooming products. The store’s location in a prime menswear destination, brings together a best-in-class selection of products in one space and mirrors the online shopping experience – catering for a range of skin types and tapping into consumers’ desire for convenience. One-to-one advice, personalisation and ultimately big data preferences (without calling it ‘big data’), are all big purchase drivers for older generations of beauty consumers. So, the latest bespoke skincare and dedicated pharmacy concepts are ones to watch for talking the language of Generation Jones consumers. 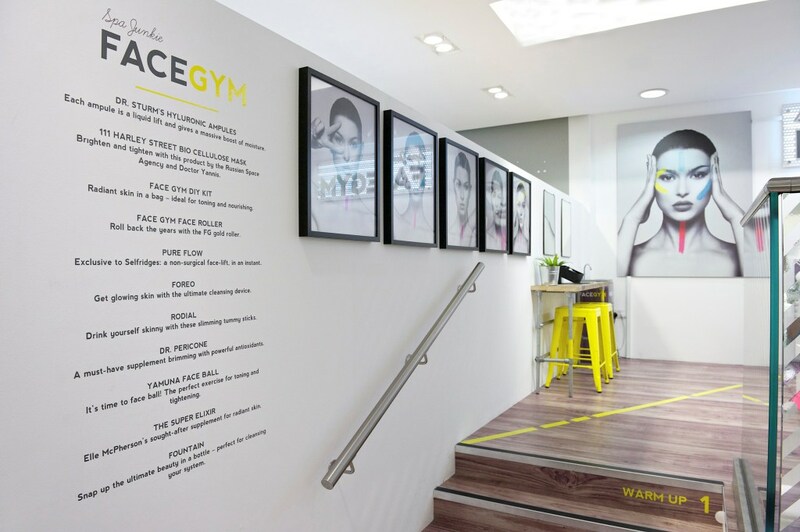 Face Gym, London: Conceived as a capsule range of non-invasive facial workout products and mini-spa treatments, FaceGym has opened its first permanent bricks-and-mortar store in the Kings Road, Chelsea. 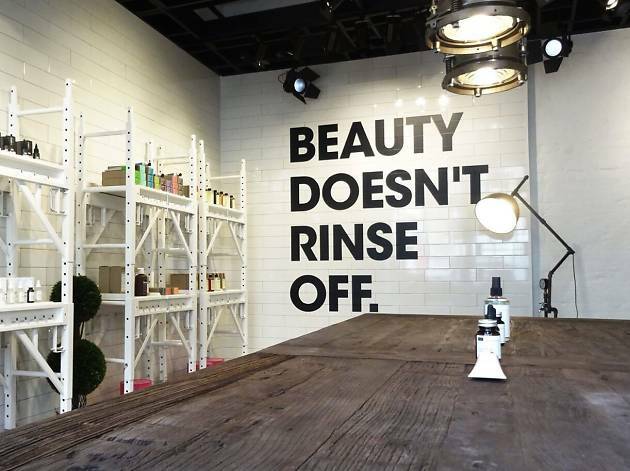 At the FaceGym Open Beauty Lab studio, customers can create their own beauty products at the store’s ‘mixologist-led’ skincare bar. 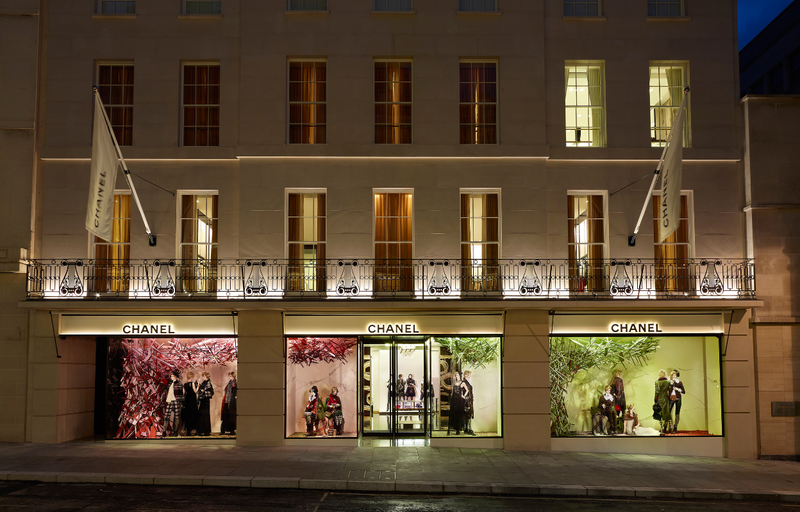 The brand’s first stand-alone physical location (outside its concession at Selfridges) promotes a range of complimentary skincare products in addition to it’s dedicated facial massage treatments and workshops. 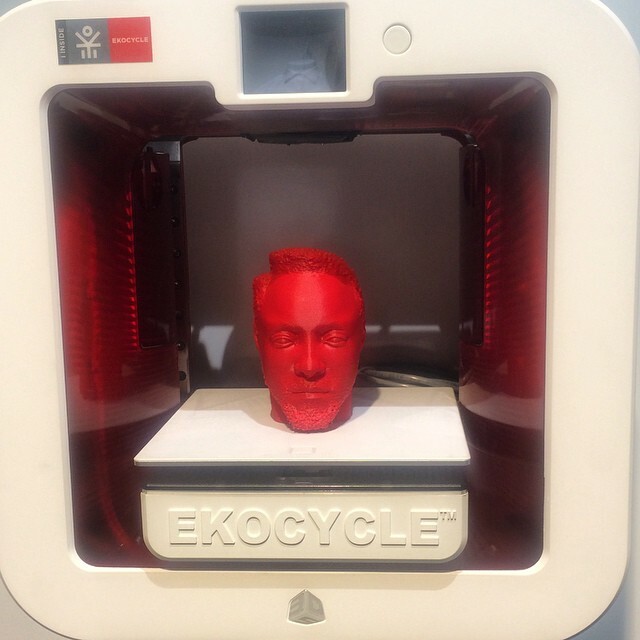 ‘I wanted the customer to feel engaged in the creative process to bring a journey of discovery and enable them to learn something new,’ FaceGym founder Inge Theron says. To follow up any treatment at the new studio space, guests can book workshops and classes such as Yoga Face, Runner Face and a new Face Camp package that includes vitamin supplements. Why it’s special: Combining the benefits of non-invasive facial workout products with new skincare regimes and workshops for customers is a smart way of bringing the FaceGym brand to life. By introducing personalisation in the form of a mixologist skincare bar also adds an element of preference driven retail, which is a great way to target over-sell weary Gen Xers, who are willing to pay a premium for products that work for them. Baby Boomers are very open to experimentation, particularly when it comes to skin ailments. This appetite for new treatments and highly personalised service means brands have a clear opportunity to test and tailor make product ranges for this age group, who are highly likely to be repeat customers. Dr Roebuck’s at Selfridges: In April, Selfridges launched an exclusive clean beauty pop-up bar with Australian skincare brand, Dr Roebuck’s. With its stripped back approach to skincare, this #cleanbeauty brand’s mantra is that it offers maximum results with minimal ingredients. 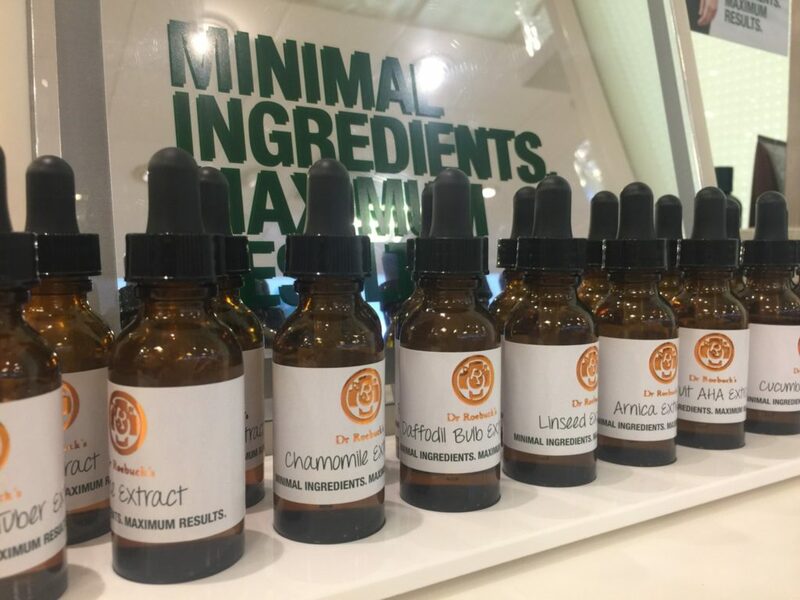 A key feature of the pop-up was the Bespoke Serum Bar, where customers could create their own serum. After booking an appointment, visitors completed a questionnaire about their skin concerns, then they received a consultation on the brands’ range of skincare products, and were matched to one of the 22 formulations on offer at the serum bar. One of the most popular products is the brand’s Reverse Ageing Serum that regenerates, repairs and promotes collagen production. Why it’s special: Boomers value one-to-one advice, and they have a huge appetite for functional, bespoke products that solve a personal problem. Plus they’re willing to pay for it.